We offer the best call tracking solution to manage your marketing and show all leads generated for your business. There is a disconnect between marketing and all leads generated, many times phone call leads are missed. Our solution closes the gap between your marketing efforts to leads generated. Most leads occur through web forms, phone calls and online transactions. Our solution tracks all these leads in one place where you can keep track of leads and qualify them through simple feedback. Full Conversion Tracking. Our solution is a full call tracking solution, but we also track web forms and e-commerce conversions without making any changes to your clients’ websites. Tracking more conversions means happier clients. One-Click Lead Qualification. Qualify calls and form leads with one simple click. After each lead is received, we fire off an email branded as you reminding them who is driving the leads. Mark the lead as Quotable/Qualified? Yes or No. Analytics Integration. We send call data to your analytics account. Did you know that calls can represent 40 to 70% of conversions? Setup up goals based on call events and your conversion reporting in analytics is now more complete. Adwords Conversions. If a PPC campaign generates a call, we pass that data back to Adwords as a conversion in your Adwords console. Keyword Level Tracking. See what keywords generate calls and leads for more accurate targeting. 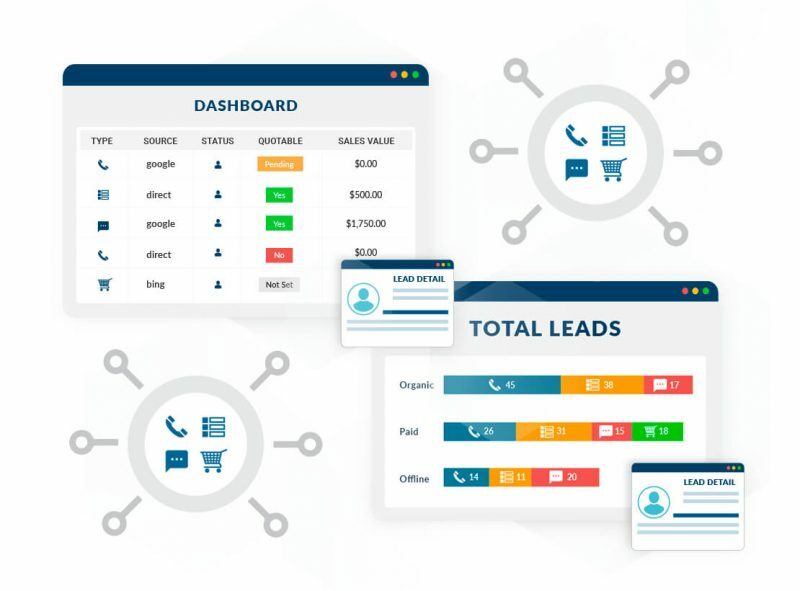 Our basic lead management dashboard works best for any pool construction, service and retail company owners needing to track their conversions better and qualify leads.